As a part of the FoodBuzz Tastemaker Program, I was recently selected to participate in the Kodak "Free Your Creativity" Program with FoodBuzz and Kodak. I was able to create my own medium hardcover photobook for free, and I get to share it with all of you! How awesome is that?! So. 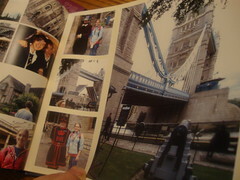 I decided to make my photo book about my trip around the United Kingdom in the summer of 2007. I've been wanting to make a book like this for a while, but I never wanted to pay a lot of money for it, so I never made one. 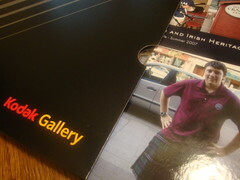 Through the Tastemaker Program, I could now make that photo book! First of all, let me just say that I LOVE this book! It's so cool, and the fact that you design it yourself online is awesome. Then Kodak prints it and makes the book for you and ships it to your house!! Woohoo! I do have a few critiques of the program, though. When designing my book, I really wish that the layouts weren't set. Or that you could choose a certain layout and then rearrange the pictures as you like. I also think being able to resize the pictures or add more/delete some would be a great tool as well. I also wish you could add text boxes to the page, instead of having to select a premade page layout that features text. There were some layouts I liked but either gave too much/little room for text or I didn't like how it was laid out. The ability to add you own text and place it where you want on the page would be another great feature to add. Aside from that, I love this program. 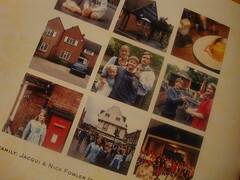 It's easy to use and allows you to quickly and efficiently create a book filled with photos of whatever you like. I love everything about Europe. Honestly, I wish I could just travel the world for the rest of my life. That would be freakin' AWESOME. 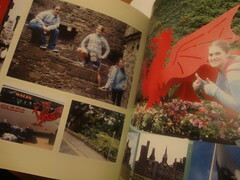 I traveled the England, Scotland, Ireland, and Wales - with England being my favorite, of course! 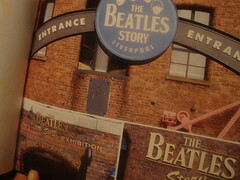 I was the most excited about London and getting to watch a musical in London's infamous theatre district, the West End. BEAUTIFUL. We saw the musical Blood Brothers, which was unexpectedly really great. Look it up on Google. I did a variety of stuff on my trip - stayed with a host family in England, went to school for a day at Richard Hale, an all-male "college" (basically a highschool - Rupert Grint from Harry Potter went to school here! 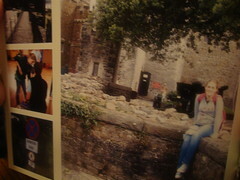 ), white water rafted in Scotland, played Irish sports, visited all sorts of castles, and worked on environmental projects, among other things. It was definitely the trip of a lifetime and one I will never forget. 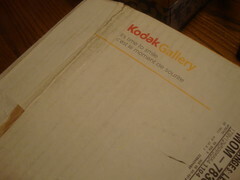 So, thanks Kodak, for allowing me to make this book full of memories that I've been wanting to make. Kudos to you for the great idea!